Since 1895, the Army & Air Force Exchange Service (the Exchange) has served the Nation's Armed Forces during combat operations and peacetime, for humanitarian missions and military exercises regardless of the location around the world. Our motto is "We Go Where You Go" - five simple words we take very seriously. You do not have to join or be affiliated with the military to work for the Exchange. We are part of the Department of Defense and we are a non-appropriated funded government entity. That means we receive part of our budget (about 2%) from the U.S. government. The rest of our operating budget is generated from our own sales of goods and services. 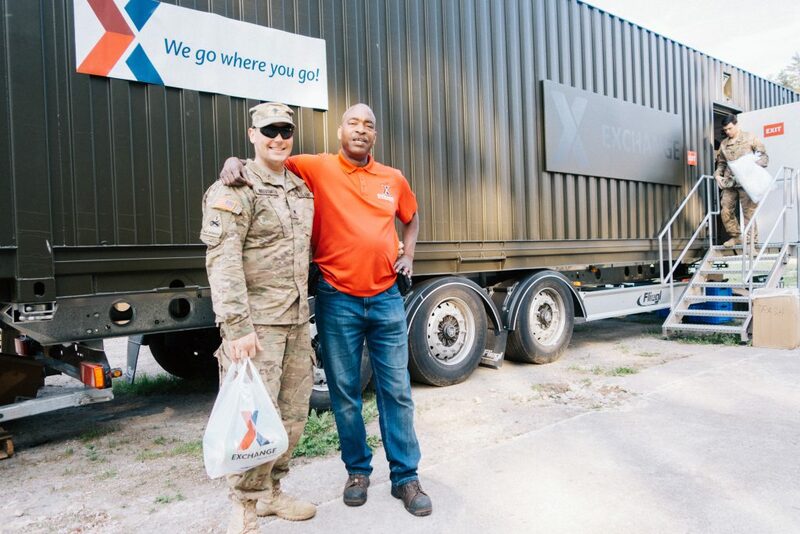 The Exchange is a Department of Defense organization that provides tax-free shopping and services to an exclusive customer base of more than 12 million military members and their families. The Exchange is one of the top retailers in the U.S. We operate 2,500 facilities on military installations, which include retail stores, restaurants, convenience stores, name-brand franchises, and more. We also maintain an extensive e-commerce presence that includes specialty online vendors, as well as more than 18 million items for sale. Unlike other businesses, the Exchange gives two-thirds of its earnings to the Army, Air Force, Navy and Marines through Morale, Welfare and Recreation programs, which include bowling alleys, movie theaters, day care facilities – just to name a few. Diversity is an integral part of our company’s mission, critical to the organization’s success, and is interwoven into the fabric of our business. The Exchange employs more than 35,000 associates, which come from various ethnic and socio-economic backgrounds.